Robometricschool. - This is one of best seller drone or RC helicopter from Syma that give you experience using this copter. This is Syma S107G 3 Channel RC Helicopter with Gyro. Syma S107G 3 Channel RC Helicopter with Gyro. Flight Control Includes Up/Down, Left/Right Turn, and Forward/Backward movements. Includes USB Charger, and Spare Tail Blade. For Use Indoors ONLY Due to Infrared Control. Volts: 3.7. Watt Hours: 0.56. Motor Type: Brushed. Age Rating: 14+ With Adult Supervision. Batteries: 15C 1S 150mAh 3.7V LiPO. Charger: USB. Radio: 3 Channel Infrared. Fuel Source: Electric. Length: 8.7 in (221mm). Height: 3.9 in (99.1mm). Width/Diameter: 7.5 in (190.5mm). 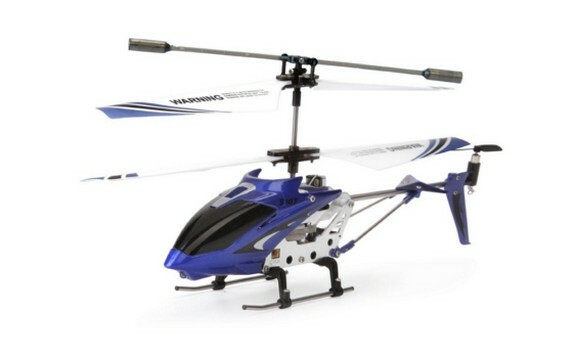 From the Manufacturer also describe that Syma S107G 3.5 Channel RC Helicopter with Gyro in Blue color scheme. Flight Control Includes Up/Down, Left/Right Turn and Forward/Backward movements. Includes USB Charger and Spare Tail Blade. For Use Indoors ONLY Due to Infrared Control. Battery Type: Lithium Polymer (LiPO Battery). C Rate: 15C. Volts: 3.7. Capacity: 150mAh. Cell Count: 1S. Continuous Discharge: 15C (2.25A). Watt Hours: 0.56. Motor Type: Brushed. Age Rating: 14+ With Adult Supervision. Charger: USB. Radio: Infrared. Fuel Source: Electric. Length: 8.7 in (220.98mm). Height: 1.5 in (38.1mm). Width/Diameter: 3.9 in (99.06mm). If you interesting to check the price of Syma S107G 3 Channel RC Helicopter with Gyro, you can click link below. And to know how to do simple main shaft repair of Syma S107G 3 Channel RC Helicopter with Gyro, you can watch the video below.